AI Fund is a startup initiator, building transformative AI companies from the ground up. Leveraging unique experience in applying AI to industry, AI Fund works with entrepreneurs to identify, validate, and scale market opportunities. 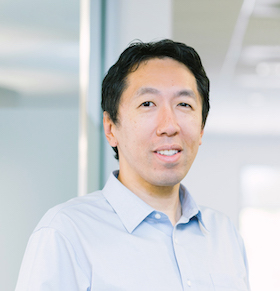 AI Fund was founded in 2018 by Dr. Andrew Ng, a globally recognized leader in AI. Dr. Andrew Ng, a globally recognized leader in AI, is a General Partner at AI Fund and CEO of landing.ai. As the former Chief Scientist at Baidu and the founding lead of Google Brain, he led the AI transformation of two of the world’s leading technology companies. A longtime advocate of accessible education, Dr. Ng is the Co-founder of Coursera, an online learning platform, and founder of deeplearning.ai, an AI education platform. Dr. Ng is also an Adjunct Professor at Stanford University’s Computer Science Department.